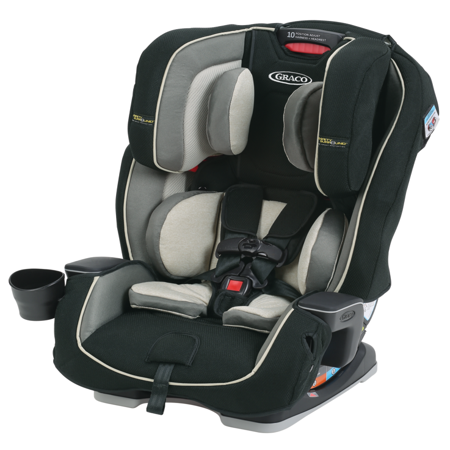 This is a great car seat for the price, its got great cushion and comfort. It is quite large and recline doesn't work if you don't have a lot of leg room in the back. The color is more tan and taupe then grey as it looks in the picture.